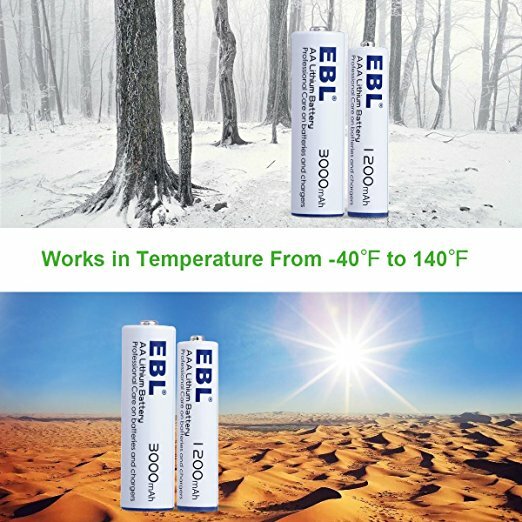 The high porformance AA batteries can work normally under temperatures: -40 to 140F. 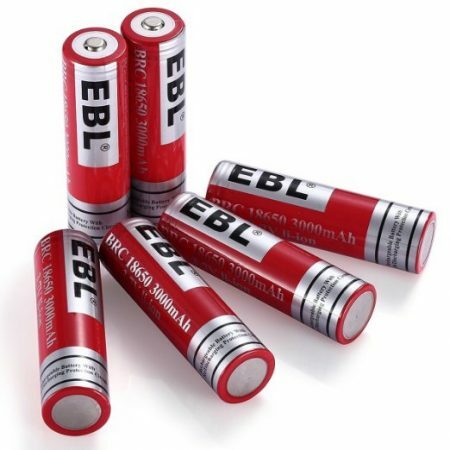 The environmentally friendly batteries: Doesn’t contain Hg/Cd/Pb, no pollution to the environment. Long lasting AA batteries: up to 6x in battery life compared with alkaline batteries. 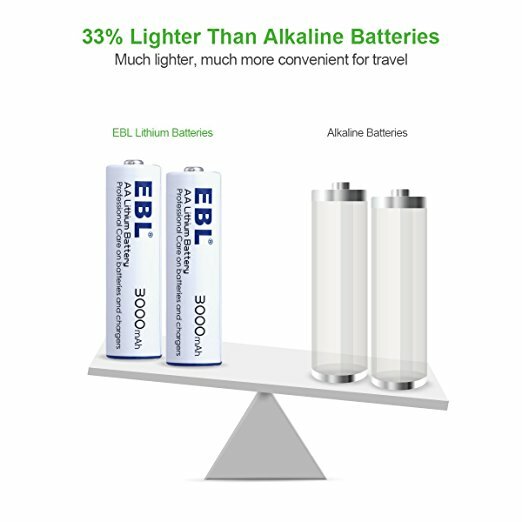 33% as light as standard alabline batteries, the portable batteries come with a durable battery case for easy carrying. 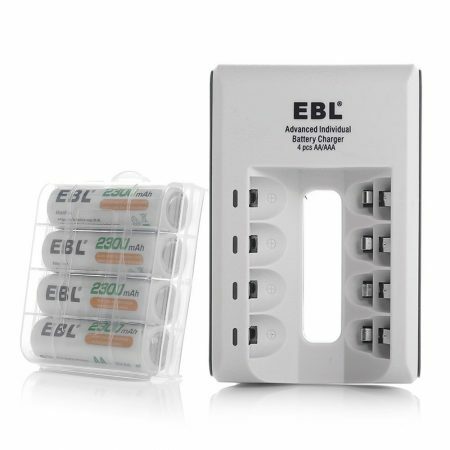 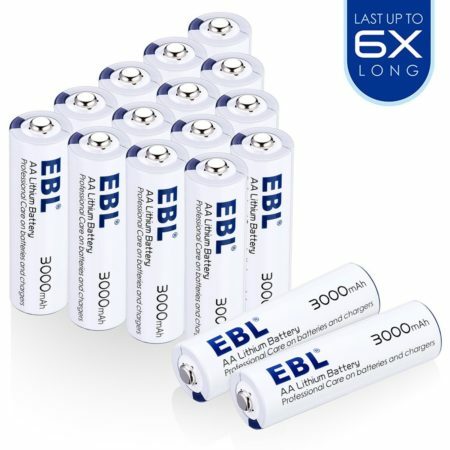 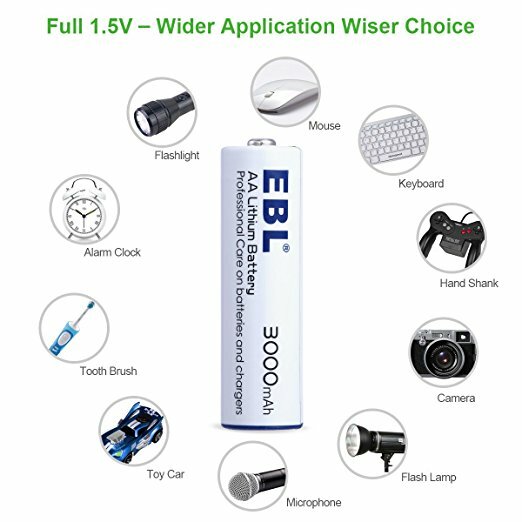 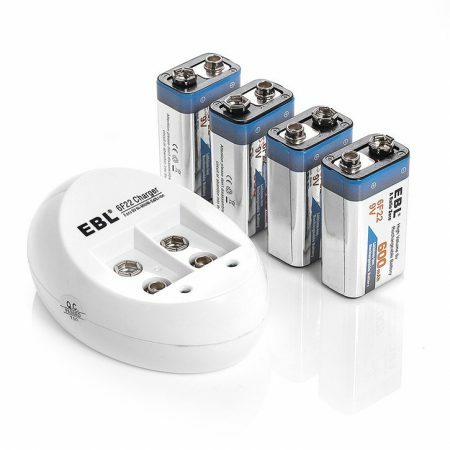 The EBL AA lithium batteries are widely used for our daily life such as: toys, digital cameras, game player, flashlight, Photographic light, searchlight, lawn light, mp3 player, remote controller, household electrical appliances, home telephone set, Intercom, wireless phone, Measuring tools, calculator, paintball guns, etc. 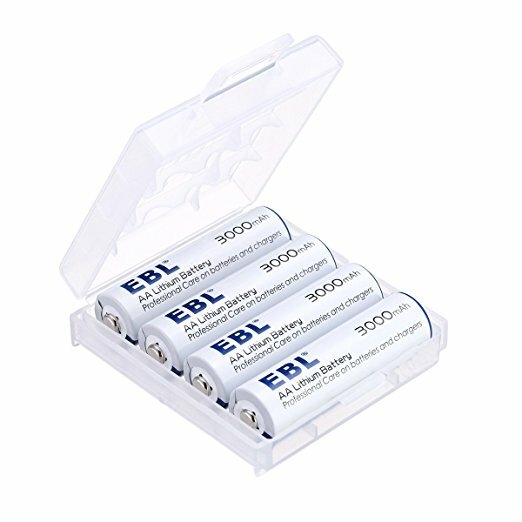 These AA batteries work perfectly for digital cameras, handheld GPS, flashlight and more devices. 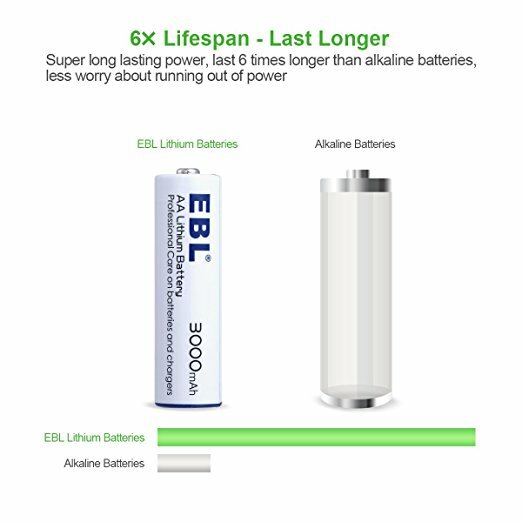 They feature super longlasting bettery life, up to 6x as long as standard alkaline batteries. 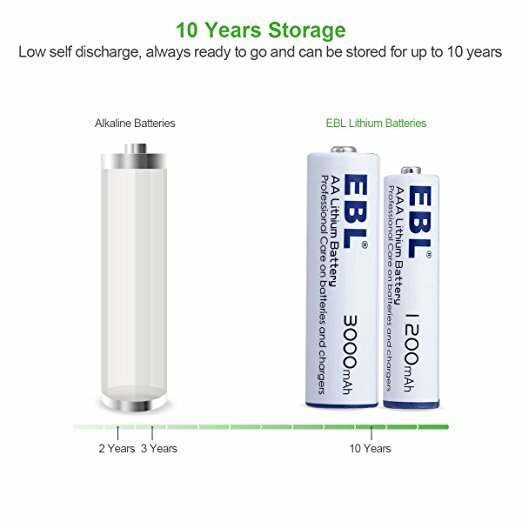 They are engineered to have a long period of time, up to 10 years for storage without reducing the battery capacity and performance. 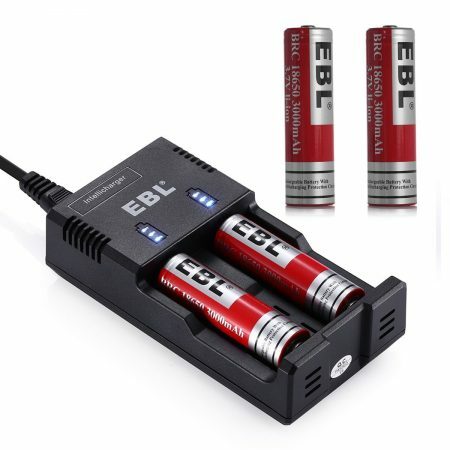 The AA Lithium batteries have high intensity to effectively avoid battery leakage under high temperature, humidity and during long time storage.